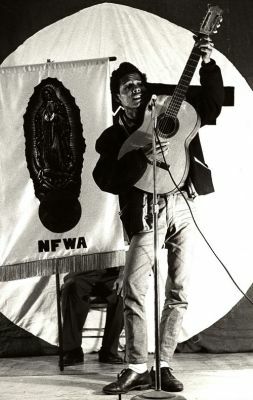 Born in Torreon, Coahuila, Mexico, in 1945, Agustin Lira (NEA National Heritage Fellow, 2007) emigrated first to Lordsburg, New Mexico and then shortly after to California with his mother, brothers, sister, and a cousin at the age of seven. 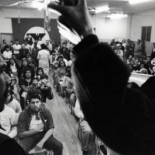 The family wandered through small farmworker towns and labor camps, following the crops up and down the San Joaquin Valley, finally settling in Selma. 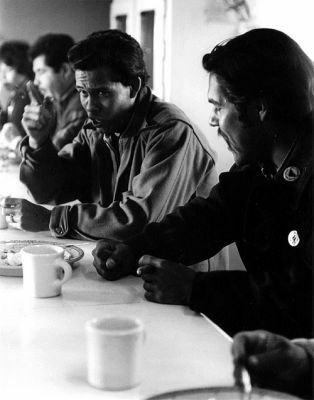 In 1965, at the age of 19, he cofounded El Teatro Campesino with Luis Valdez during the Delano Grape Strike headed by Cesar Chavez. 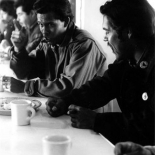 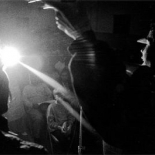 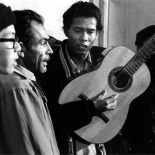 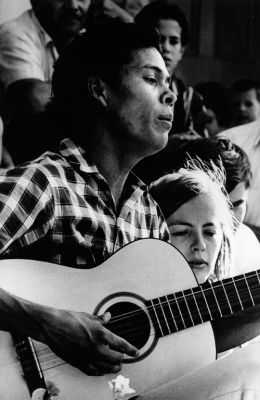 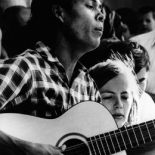 The company created songs and plays, performed on picket lines, at rallies and toured throughout the United States, giving voice to the farmworkers’ plight and demonstrating the power of artistic expression in uniting and inspiring the farmworker communities. 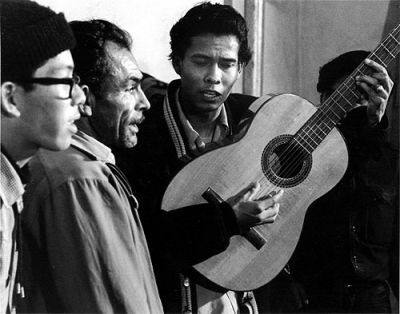 Campesino received the New York Off Broadway Award, the Los Angeles Drama Critic’s Circle Award, appeared at the Newport Folk Festival and was the subject of feature articles in Time, Newsweek, and the Wall Street Journal. 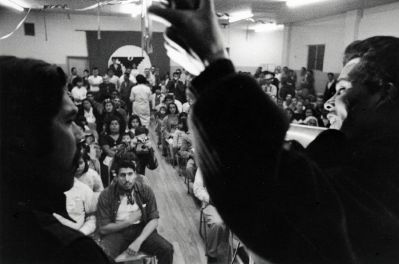 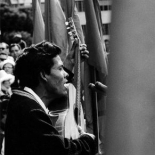 Lira’s powerful singing and socially relevant lyrics were at the heart of El Teatro Campesino and established his role as the preeminent musical voice of the early Chicano Movement. 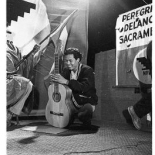 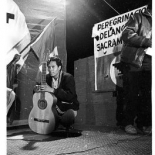 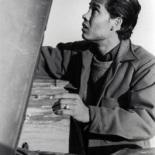 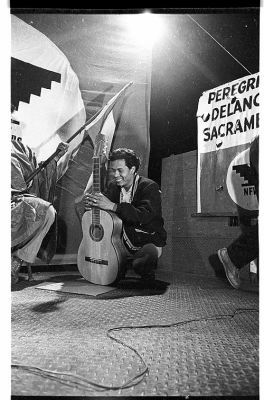 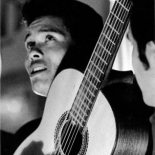 After leaving Campesino in 1969, Agustin resumed his work in music and theater forming several theater groups notably El Teatro de la Tierra which performed throughout Southern California and the Los Angeles metropolitan area to critical acclaim. 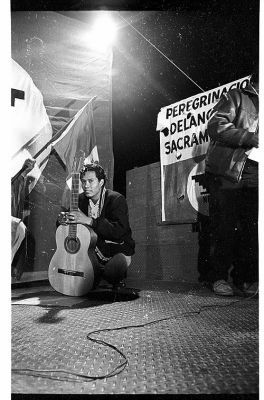 Lira also taught drama, music, and creative writing at universities, schools, and community organizations throughout California. 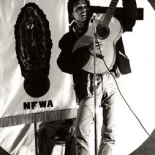 With musical group Alma (formed in 1979 by Lira and Patricia Wells Solorzano), he has performed at national and international festivals in the United States, Mexico and Cuba. 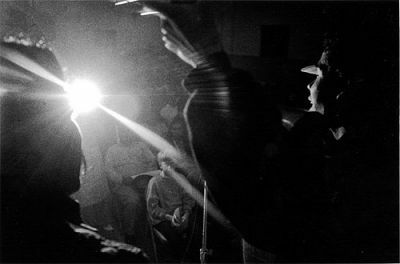 Lira has produced music for films and recordings. 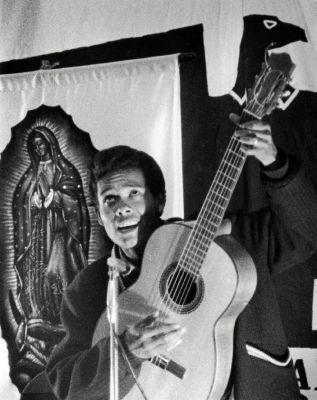 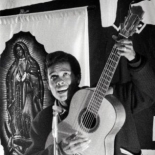 His music appeared in the film documentaries: “Students of Change: Los del ’68”, (2010), by Martha Sanchez and Mario Zavaleta, KCTS 9 Television; “Viva La Causa!” (2008) by Bill Brummel and Alonso F. Maya (short listed for an Oscar). 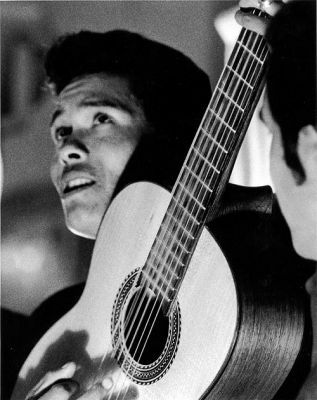 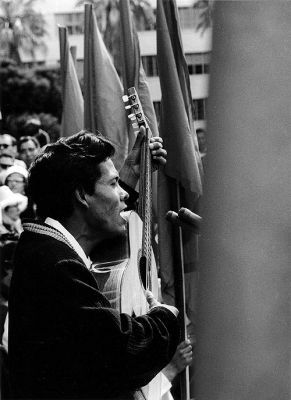 Lira was highlighted prominently on the Smithsonian Folkways retrospective “Rolas de Aztlan: Songs of the Chicano Movement” (2006). 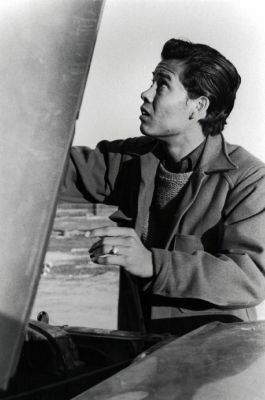 Previous recognition of Lira’s work includes Horizon Award (2010) by the Fresno Arts Council; Hispanic American Portraits of Success Award 2008, from KSEE Channel 24; the California Latino Legislative Caucus Award, 2007; Local Hero Award, 2006 from Valley Public Television, Channel 18 and Union Bank.